The Honda motorcycle repair manuals we offer are the best available and written for the do-it-yourself mechanic. You'll be able to find a Honda Rebel repair manual, Honda Shadow manual and essential guides for other Honda models. 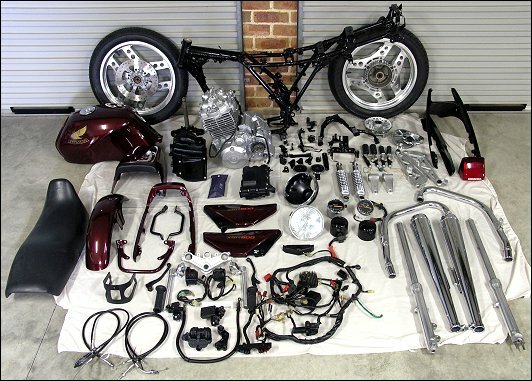 These manuals feature step-by-step text, accompanied by hundreds of photos and illustrations, explaining disassembly and reassembly procedures that show you how to repair, service or maintain your Honda street bike like a professional shop would. Fix your Honda street bike with a DIY manual! Fix your Honda street bike with a DIY Honda motorcycle repair manual! The repair manuals we sell are published by Haynes and Clymer with the weekend mechanic in mind. As such, they contain lots of sharp photos as well as easy-to-understand text that takes the reader on a step-by-step explanation on servicing or repairing a particular system or component. And even if you plan on never picking up a wrench to fix your Honda motorcycle, having a basic and solid understanding on how the bike works can be very helpful when you take the bike to the shop and talk with the mechanic. The knowledge you glean from your Honda motorcycle's repair manual will help keep your mechanic honest, saving you money. 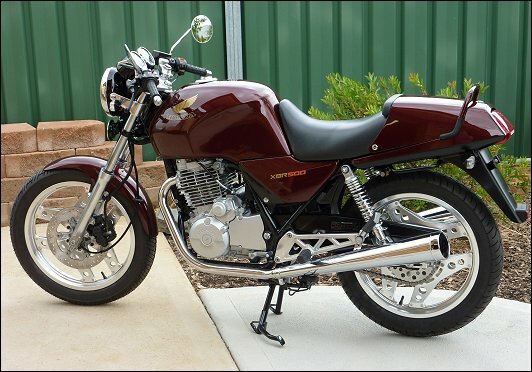 Above: Wayne Talbot's 1986 Honda XBR500, a restoration project that took him about 15 months. Kelso, NSW Australia.